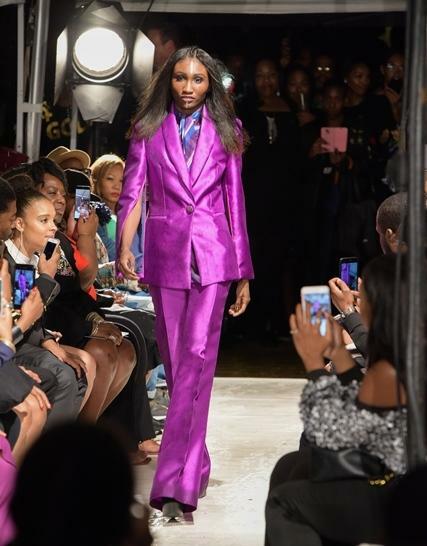 Harlem’s Fashion Row is the most prestigious platform for multicultural fashion designers. HFR has become the epicenter of fashion for the multicultural audience. Founded in 2007 by Brandice Daniel, a coach for multicultural fashion designers, writer, speaker, and entrepreneur, Harlem’s Fashion Row began as a project of passion, aiming to fill the void for multicultural fashion designers and high profile professionals in the industry. Creator Brandice Daniel’s reason for starting HFR, was to bring the same exposure of NYFW to designers of color. She is pushing diversity in the fashion industry which gives a platform for designers who may not have the same opportunities to have a show in one of the prestigious tents during NYFW. These designers have the opportunity now to showcase their designs at HFR to celebrities, buyers, and fashion editor. HFR is not just limited to events showcasing designers in NYC. HFR promotes fashion for people of color worldwide. Recently HFR held a fashion event in Memphis, Tennessee. The Memphis Fashion Event featured beauty and fashion industry icons like Mikki Taylor, Misa Hylton, Julie Wilson and Wouri Vice. These events help people interested in the industry the chance to receive first hand knowledge from veterans in the business. The panelist share important information with advice and their experiences within the industry. The Memphis Event wasn’t just limited to the panel discussion, there was also a huge fashion show with awesome Memphis designers. The fashion show showcased designs from Tiena Gwin, Rochelle Griffin, Dee Blayde, Joe Garrett, and Project Runway star Korto Momolu. Not only has HFR catapulted the careers of many designers since its start 10 years ago, the brand has expanded to even make these ready to wear items off the runway available for purchase. The Harlem Fashion Row Website now features designers pieces for customers to view and buy. Harlem Fashion Row has also added Podcasts to the platform. The HFR podcasts offer the ability for clients and buyers to get acquainted with these talented designers. This offers an inside look to the designers history and inspiration for their designs. We just love how HFR creates a platform for these designers. This opportunity is needed for designers of color who may not have access to the larger shows to expand their brand. We can’t wait to see what Harlem Fashion Row as in store next year. Are you excited as we are for Harlem Fashion Row 2018?